A new Dark Knight trailer has been unleashed for to cool down the impatience of Batman and Joker fans. 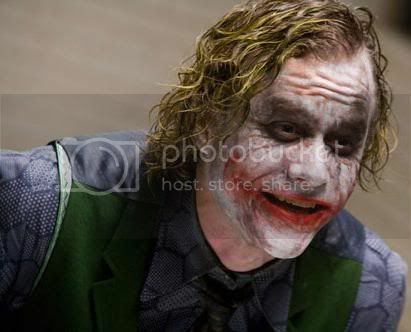 The Joker: "The civilized people will eat each other, you'll see, I'll show you!" We had a glimpse of the scene when Harvey Dent (Aaron Eckhart) transforms into Two Face! And the words of the Joker may explain why it has happened. The plot of the Dark Knight is deeply thought: definitely a superhero movie for grown-ups! Should thank God that Director Christoper Nolan worked on the Batman franchise and that Heath Ledger had time to finish the movie!